I came up with this idea a couple of years ago. I needed something fast, cute and affordable to give my co-workers, something that was handmade and that could also be used to make the office a little bit more Christmas-sy. I’ve looked for many possibilities, but many origami Christmass trees would take too many steps and it would take me too long to fold all of them (I needed to make around 30 of these). Then I remembered that I had already toyed with the idea the year before, so I went on with it and added the paper tag with the “Happy Holidays”. 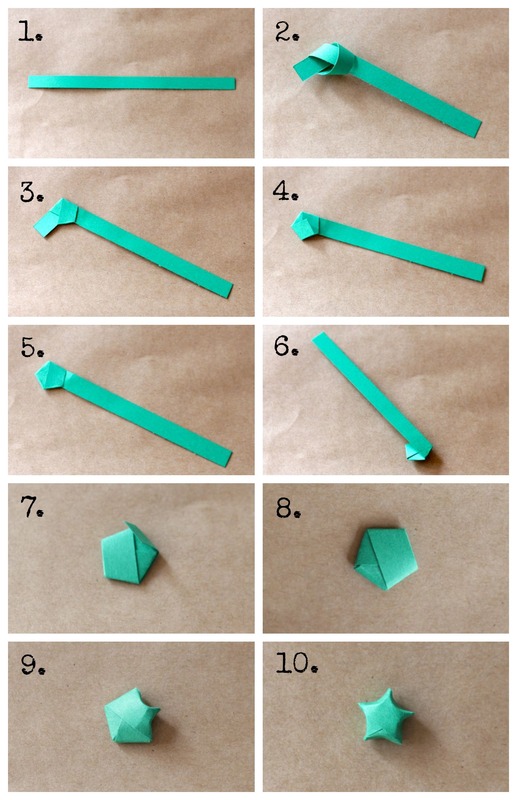 You can use regular origami paper for this project, but scrapbooking paper will make it a bit sturdier. Unfortunately, I didn’t have any glitter at home back then, but I guess it would also be a nice touch. It just occurred to me that this model would look lovely as a place card on your next Christmas dinner, don’t you think? This is a good project for Easter, but you can use it all year round! Make it in different colors and patterns! Use Flocked Paper / Velour for the eyes: They are easier to cut in small shapes, they also have the ‘soft’ texture, and are not as thick as black felt. Use a toothpick to add the white reflex on the eyes and the rosy cheeks. It avoids any mess and it’s also less prone to accidents. Have a special pair os scissors used only for cutting felt. A while ago I decided to play with my Galaxy Note 10.1 (2014 edition), and try to use its drawing app. I asked my friends on Facebook to prompt me some ideas and this is the result. 😀 I guess pretty much everybody asked for ‘normal’ animals, except for the sharknado and the albine yak, of course. Would you like to see your favorite animal here too? Leave it on the comments!!! This model was created by Herman Van Goubergen and you can find the instructions and his own tips here. The pictures below were first posted on my old blog and Deviantart account. The models below were folded on 5×5 cm origami paper. I recommend thick paper, like copy paper, for example. Thin ones do not work that well. These models were made using 12 modules, but you can also try and make it with 30 modules as well. You can use white glue or clear nail polish to work as varnish and make the models more stable and durable. Seriously, I love boxes! Besides being useful, that can be part of your decor and it’s also a blank canvas where you can do anything! It’s always fun to decorate them with paper, buttons, ribbons, lace, tags and so on. These are some ideas that were first published on my old blog. The patterned paper is from DCWV, but the ribbons, rickrack, buttons, lave, doilies, paint, stencils, stickers, tags and the like were all collected in thrift shops and stationary shops, without any specific brand. This kusudama was invented by Mio Tsugawa, and it’s one of my favorite models. I like the way it’s curly and see-through at the same time. It was made using 30 modules, but you can do it with 12 as well. These projects were originally published at https://karencraft.blogspot.com and https://karenkaren.deviantart.com . You can buy this patterned paper at Gana Presentes. This is a great DIY idea for a Christmas party favor, or table place cards. I used 15 x 15 cm Christmas-themed scrapbook paper for the trees, and a 1 cm wide strip for the star. The tags and wings were made using paper punches. My teeny tiny conifer forest. Shabby chic is a style of interior design where furniture and decor ostensibly show signs of wear and tear and age. The style started in the UK and evokes the style of old large country houses, being elegant, bohemian, romantic and vintage at the same time. Use and abuse of motifs of flowers, birds, butterflies… and more flowers. Choose distressed pastel colors such as antique rose, lavender, mint, white, gray, butter and pale blue. Also, swirls and twirls galore! The projects below were all originally published on my old website. This wooden cabinet was sold without any finish, just like the picture below. I fell in love with it because it had 14 drawers in 3 different sizes! It was perfect to keep all my paper punches, scrapbooking embellishments, paints, buttons, ribbons and the like. I painted it white and covered the drawers with coordinating patchwork fabric and PVA glue. You can’t really tell just by looking at the picture, but the card below is actually size A3 (297 x 420 mm or 11.7 x 16.5 in). It was a goodbye card to my former manager, so we needed plenty of space so everybody could leave her a message. I used my Silhouette Cameo, scrapbooking paper, buttons, paint, vellum, doilies, spray paint and white paint to distress the borders. Do you want to start a new sewing project but you’re not really sure which one? This is a collection from all bags I made and posted on my old blog and Deviantart page (that’s why you can see the old website address on the pics). I hope you get inspired by them! In case you do, don’t forget to show me your work! There is no reason why you shouldn’t be cute even when going groceries shopping! I learned how to sew the simple ones with Aranzi Aronzo books, and the lined ones watching tutorials from You Tube and Pinterest. They are the easiest model to stat with if you don’t know how to sew. Simplicity.com has been around for more than 90 years, and you can find lots of different models not only for bags, but also for clothing and accessories in general. Maybe these models are not suitable if you are a real beginner in sewing, but they’ve got plenty of patterns for all levels and needs. I’m not a big fan of sewing zippers, to be honest. This was my first attempt at it, I guess it can be a nice practice exercise until you get used to it. These French cartonnage cases are adorable and sturdy, ideal to carry your makeup or even fragile items. You can choose your favorite fabric pattern and assemble it according to instructions that come with the kit, or if you need an extra challenge, you can make your own from scratch. You can find the tutorial and pattern for this project here. And after everything you’ve seen and done, you’ll have plenty of scraps laying around… But don’t throw them away! You can sew a nifty clothespin holder, because I bet they are in a horrible plastic bag at the moment, or somewhere even worse! So, what’s your next project? My old website has been online since 2010, but I confess that after 2012, I started paying less and less attention to it. There were many reasons for it, and I think the main one was the new job in a much challenging workplace. Now, it’s almost 2018 and I’m living in another country, and I hope this year I’ll be able to devote more time and effort to my passions. It took me some time to fix the layout and everything, but now it’s officially up and running! Wish me luck!